Senator Jen Metzger attended a luncheon today at Sullivan BOCES to meet with local school superintendents and their board representative. During the lunch, Senator Metzger gave an update on what’s happening in Albany and the districts identified issues affecting our schools. 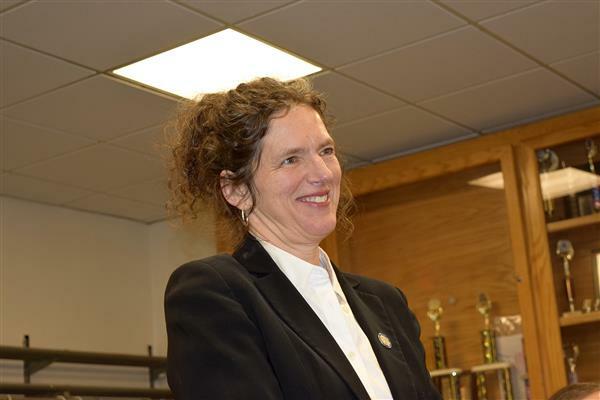 The New York State Education Department (NYSED) is in the process of building a website with data and information to help parents become more informed advocates for their children’s education. The website, called the ESSA Parent Dashboard, will be practical and easy to use for parents and the general public. Where Futures Begin & Dreams Are Achieved! 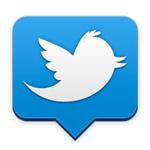 Click on BOCES sign to view our overview video. 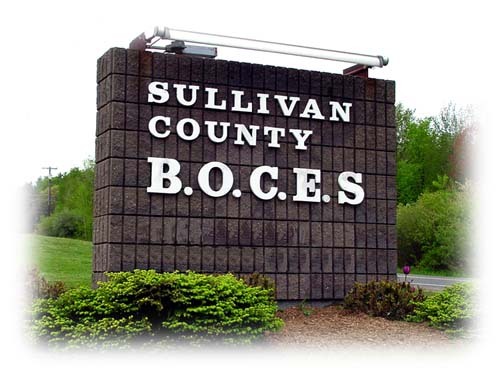 Sullivan BOCES is located in the southern Catskill region of New York State. 100 miles from New York City, Sullivan County is known for its natural beauty, outdoor recreation, open spaces and close proximity to the New York Metropolitan Area, all of which makes Sullivan County an ideal location for cultural and economic growth. The County is home to the 1969 Woodstock Music Festival, the resort casino: Resorts World Catskills, legendary fly fishing of the Beaverkill and Willowemoc Rivers, the Bethel Woods Center for the Arts & Museum, bald eagles, challenging golf courses, resorts and much more. Residents of the County are also within commuting distance from several community and SUNY colleges. Sullivan County is also within 45 miles of Stewart International Airport and is the home of the Sullivan County International Airport, which is large enough for small and corporate jets. The County is deeply involved in Sullivan Renaissance (a county-wide beautification program) and offers quaint surroundings, affordable housing, friendly neighborhoods and a great deal of community pride, making Sullivan County a prime choice for new residents. The supervisory district serves eight component districts (Eldred CSD, Fallsburg CSD, Liberty CSD, Livingston Manor CSD, Monticello CSD, Roscoe CSD, Sullivan West CSD, and Tri-Valley CSD). Sullivan BOCES also provides cross contract services to districts throughout the state. Sullivan County BOCES delivers a wide-range of instructional and management services to its eight school districts and several other schools. Our three-hundred staff members collaborate with our customers to create solutions to educational challenges, increase operational efficiencies, and reduce costs. We improve student success by providing quality educational experiences, helping students achieve their goals, learn skills, increase knowledge and develop a work ethic for the 21st century. Our Career and Technical Education program offers juniors and seniors hands-on training in a variety of fields, guided by expert Advisory Boards, ensuring that students are ready for employment or for college study. Our Career & Tech programs have articulation agreements with colleges or trade schools, and can earn credit toward an associate or bachelor degree while still in high school at a significant savings. Children and young adults are the main focus of the Special Education and Alternative Education Programs, which create and implement strategies to develop each individual’s potential utilizing state-of-the-art technology to enrich instruction. 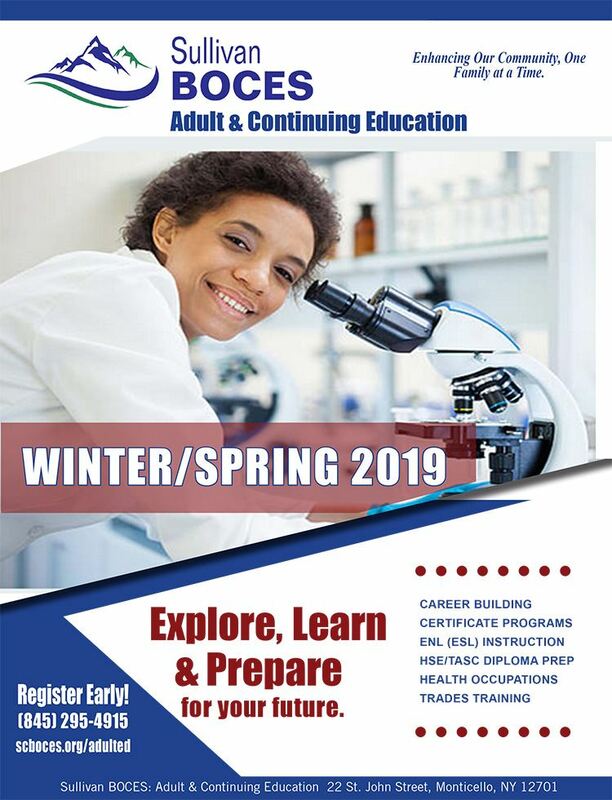 Adults interested a career change, learning new skills or hobbies, preparing for the HSE/TASC diploma, or learning English as a second language find offerings at the BOCES Adult & Continuing Education. The program offers day and evening courses, on-line courses, and works with area businesses to provide specialized training to meet the needs of the individual business. The Instructional Support Services Division is an important resource helping educators adapt to the new State–mandated learning standards, and providing professional development. We work with the districts to integrate technology into their classrooms. We also offer cooperative school support services designed to increase efficiencies, save time and money and eliminate duplication of staff, facilities, and equipment. Our goal is simple, do everything we can to collaborate to increase student success, optimize efficiencies and enhance cost savings.